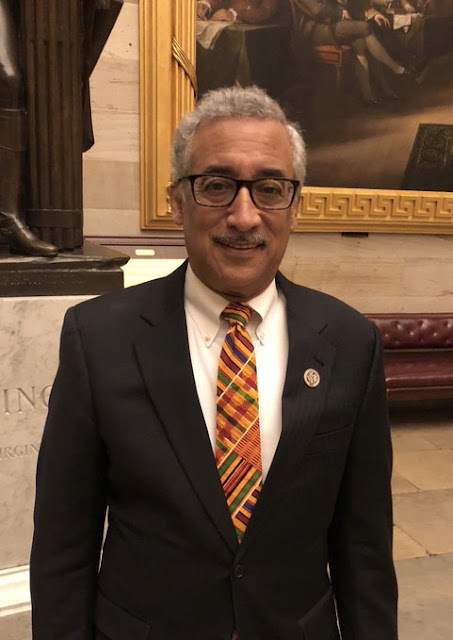 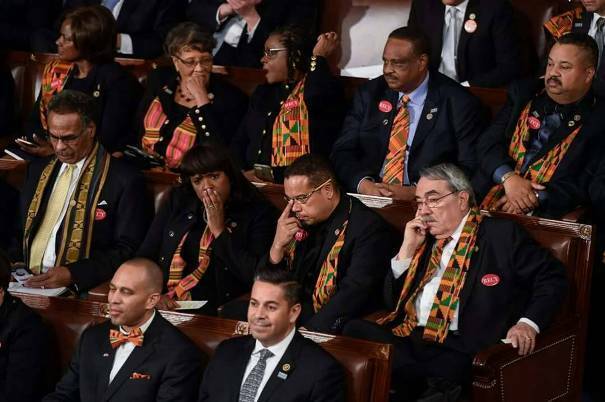 Home / africa / blacks / Donald Trump / kente / lawmakres / Politics / US / Black Lawmakers in the US wear Kente at President Trump's 1st State of the Union Address in "honor of Countries the President proclaimed sh_t holes"
Black Lawmakers in the US wear Kente at President Trump's 1st State of the Union Address in "honor of Countries the President proclaimed sh_t holes"
On Tuesday, Members of the US congress with Black origin made scarves and ties out of the Traditional Ghanaian Kente as they attended President Donald Trump's first State of the Union Address.The wearing of the Traditional Ghanaian Kente was according to Representative Alma Adams to "honor the countries President Trump proclaimed "sh_t holes" a weeks ago. 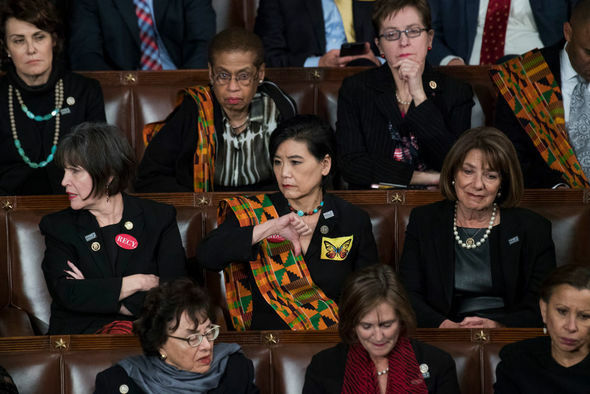 The female representatives were also in black with butterflies supporting the #metoo movememnt. 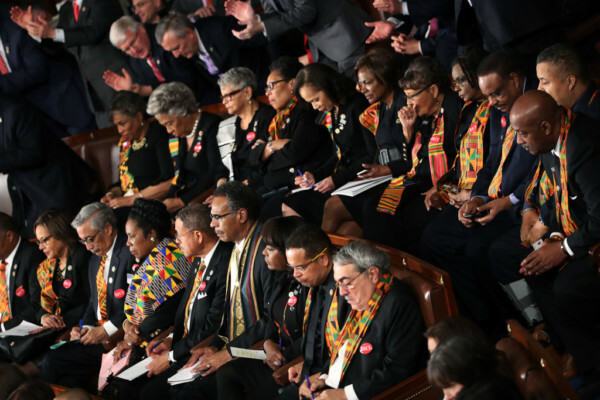 The State of the Union Address is given once every year of a POTUS"s term, and usually on a Tuesday.